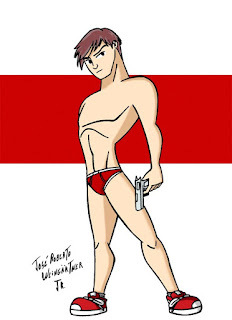 J.R. Weingartner Jr. - ART: Novo ano! Novo post!!! Para estrear algo simples mas que eu tenho sempre que postar algo nessa linha! Foi algo rápido. Fiz e finalizei tudo hoje. Eu fiz por influência de alguns artistas que tem uma linha bem estilizada. Eu tinha que treinar mais esses traço (eu falo isso sempre). Mas ok... isso vai ser promessa para esse novo ano!!! Ps. Comprei meu primeiro All star hoje!!! To debut something simple but I've always post something on that line! It was something quick. I did and I finished it today. I did under the influence of a few artists who has a stylized line. I had to train more of these trace (I always say this). But ok ... this will be promising for this new year! Ps. I bought my first all star today!